Darien High School assistant principal Mike Sullivan addressed the Board of Education about the school's enrollment at the Tuesday meeting. Accommodating all of Darien's students in the town's seven schools is a tight squeeze, school officials say. During the Board of Education meeting Tuesday, administrators from the high school and middle school presented their enrollment analyses for the 2014-15 academic year. The overall trend is that some teachers have too many students in their classes, they said. "I'm appalled," said Board of Education Vice Chairman Heather Shea regarding the number of classes in Darien High School that have 23 or more students. The board guidelines have established that 22 students is the optimal number of students per class. Other classes, such as world literature and advanced placement, have a lower threshold. Shea said the high number of students in high school classes is "not conducive" to an effective learning environment. During the 2013-14 school year, there were 1,357 students at the high school as of the Oct. 1, 2013, enrollment report. This year, there were 1,371 high school students, according to enrollment statistics as of Oct. 1. The same was reflected at the middle school, with several classes exceeding 24 students, according to information provided by the administration. Darien High School Principal Ellen Dunn and Middlesex Middle School Principal Debi Boccanfuso told the board that working to achieve smaller class sizes within the schools would require discussion during budget season. During the 2013-14 school year, there were 1,129 students in the middle school, according to the Oct. 1, 2013 enrollment report. As of this Oct. 1, there were 1,124 students in the middle school. The board also discussed the Oct. 1 enrollment report, with the number of students in the district from the Heights housing development prompting some concerns. According to data from the district, there are 84 students from the Heights. However, Shea noted that the number appears too high considering the restrictions placed on the number of children allowed to live in each unit. The restrictions outline that there can only be one child per bedroom, unless they are of the same gender and younger than a certain age. There are 34 two-bedroom units and 18 three-bedroom units in the development, which means 70 public school students should be living in the Heights, officials said. Shea said the Darien Housing Authority, which manages the complex, should be asked to address the number of students living there. Historically, Darien has seen enrollment in the local school and birth rates rising, save for a minor dip during the 2011-12 school year. The greatest challenge the district faces, according to Assistant Superintendent of Curriculum Tim Canty, is accurately predicting the birth rate in town and its correlation with the incoming kindergartners. 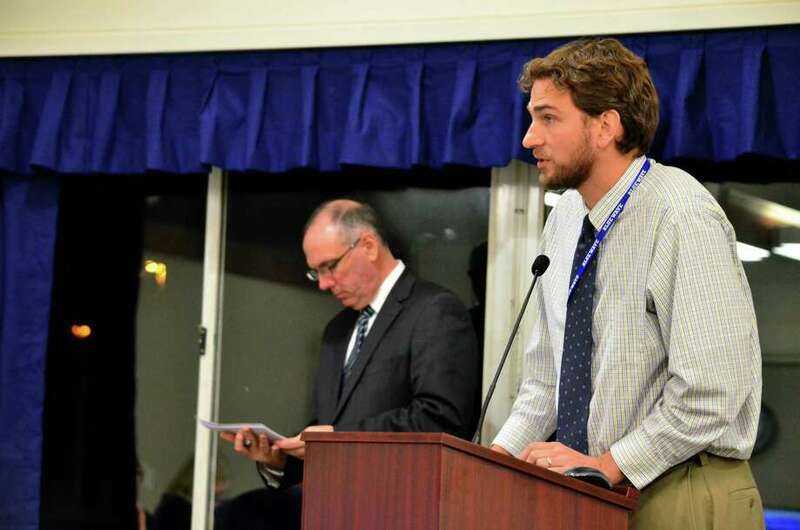 Two enrollment projections were presented to the Board of Education during Tuesday's meeting: the projections using Darien's enrollment and a projection compiled by New England School Development Council. NESDEC is predicting that the kindergarten enrollment will continue to drop, with 312 new students enrolling in the 2017-18 school year. However, Darien's projections, which have historically been close to actual enrollment, do not show the same decline. Shea and board member Callie Sullivan expressed doubts in NESDEC's reporting and believe Darien's projection models to be the most accurate.